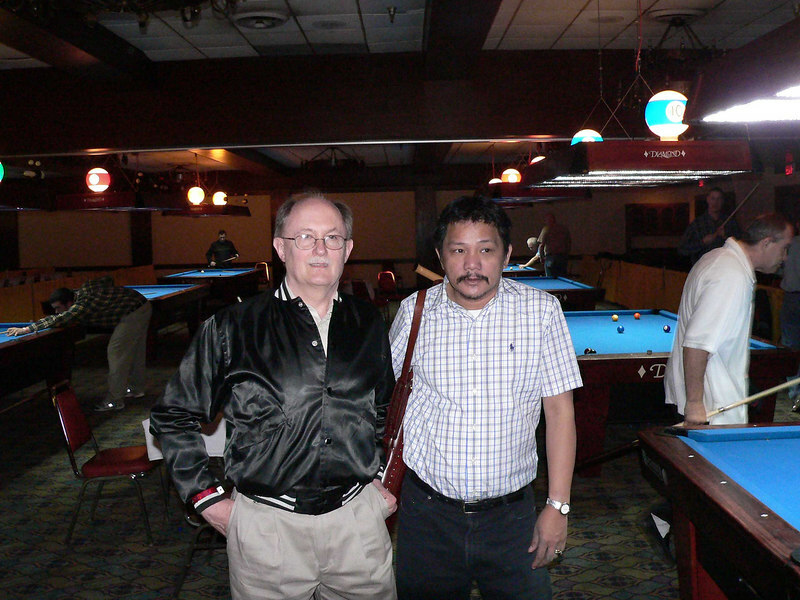 Efren Reyes and Mike Haines. Mike on the left, in case you didn't know. And by the way, Efren rarely looks at a camera taking a flash photo. He says it messes with his eyes.